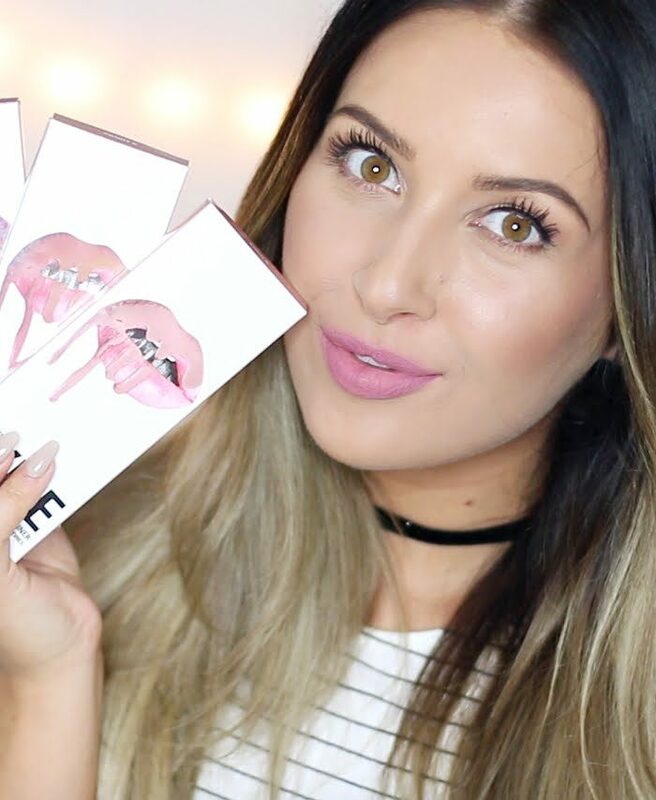 Let’s talk skincare, shall we ?! I think the girls who follow me for a long time know that I find my skin very important, especially now that I am getting older (25+) I notice that my skin has different needs and even more desires for some extra hydration. 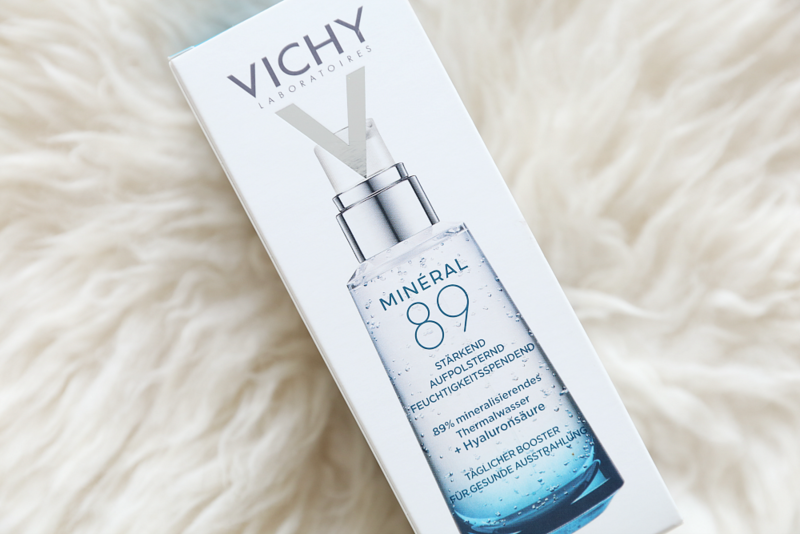 I recently started using the new Vichy Mineral 89 which is available in pharmacies and online from May. I am eager to tell you more about this! Vichy, who does not know it? Vichy has a wide range of skin care products, anti-perspirant products, serums, anti-acne products, body care and so on for the young but also older ladies. When I got pimples around my 16th I used the Vichy Normaderm products for a period of time that had calmed my skin a lot! When I got older, my pimples went away and now I’m more on the hunt for anti-aging products because I’ve already passed the 25. 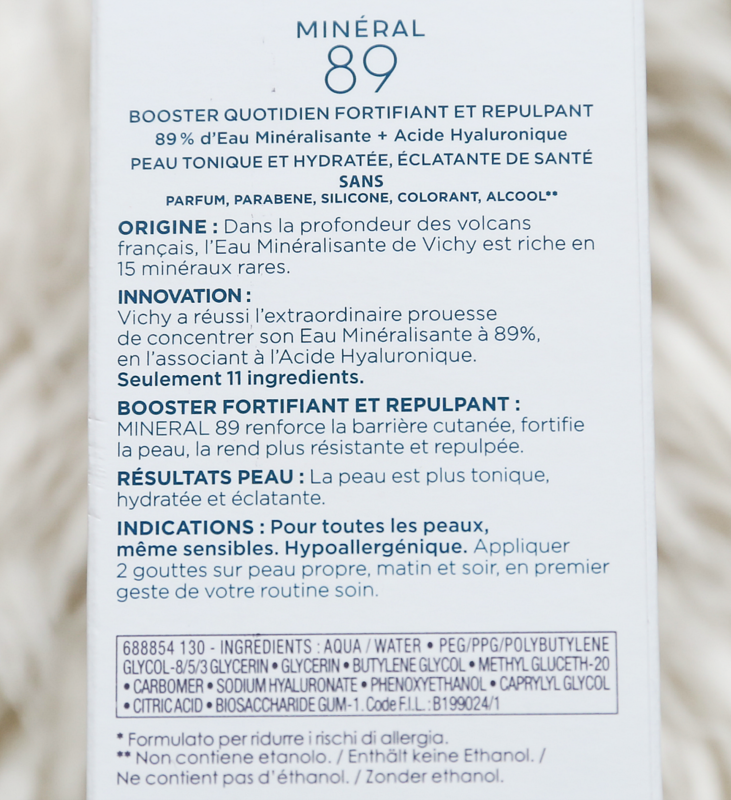 Having said that, I would like to introduce you to my new favorite, the Vichy Mineral 89. 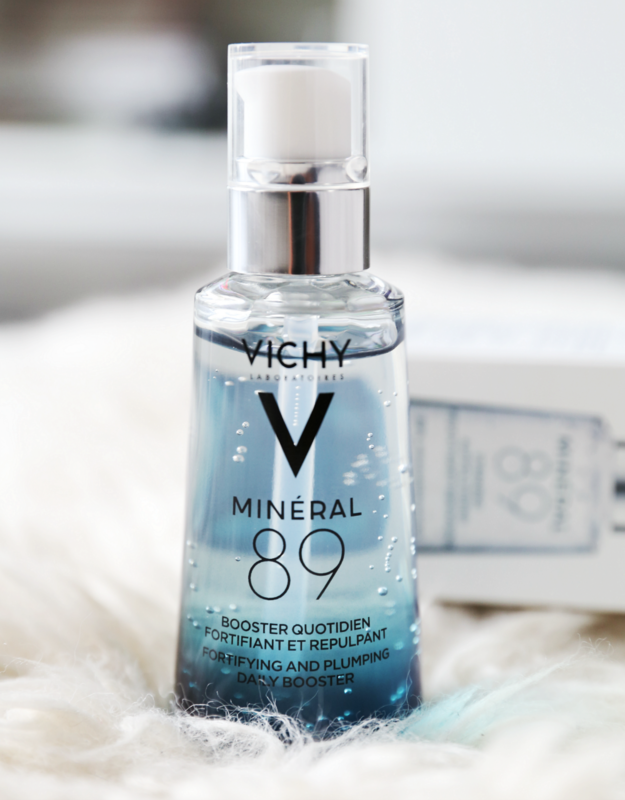 A while ago during a press event was explained what the Vichy Mineral 89 does exactly for the skin and that is what I want to explain to you briefly today. 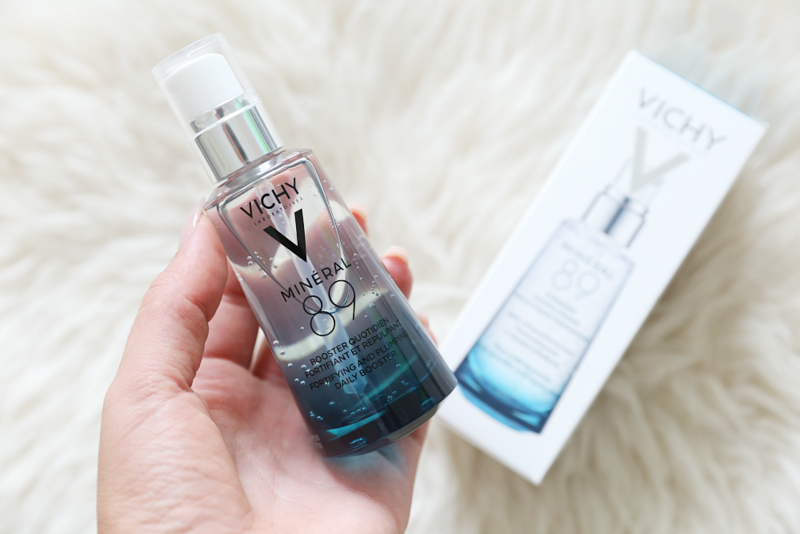 Vichy launches this new product in May 2017, a new formula for Vichy water. The Mineral 89 is a daily booster for the skin to strengthen the skin and give a boost. The product contains no fewer than 11 unique natural ingredients. 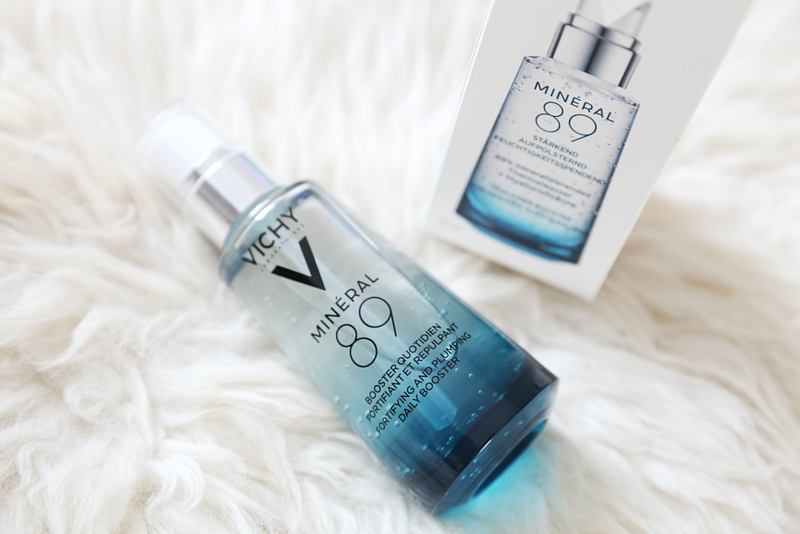 Mineral 89 contains 89% concentration of mineralizing water. 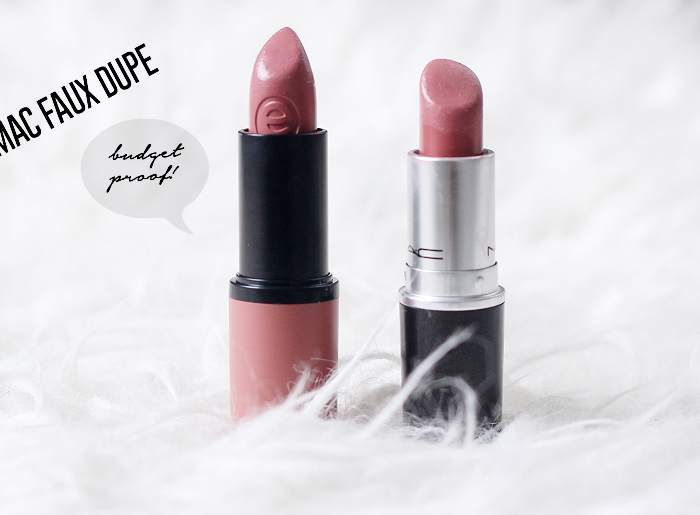 The product is suitable for sensitive skin! The Mineral 89 booster is the first step in every care ritual. I first washed my face with a facewash or micellar water and then applied 2 drops of booster to a cleansed skin. Then you can apply a day / eye cream for extra hydration. The substance is very light and as you can see on the picture also completely transparent. It is easy to distribute on the face and is also quickly absorbed by the skin. I think it is a delicious and especially fresh product for the early morning! My skin immediately feels fresh and soft. In any case, I am completely upset and I notice that my skin could use this booster, especially now that we change season again. Oehh ben nu wel heel erg benieuwd geworden! Ik krijg hem ook nog opgestuurd binnenkort, cant wait! Wat leuk dat je weer terug bent Manon! Ik heb je gemist op je blog! Je video’s op Youtube zijn heel erg leuk, en ik bekijk ze ook bijna dagelijks. Maar het is natuurlijk leuker om op je blog na lange tijd weer een nieuw artikel te kunnen lezen. Leuk artikel trouwens, ik heb ook heel erg nood aan producten die mijn huid hydrateren en een boost geven, misschien moet ik deze ook maar eens in huis gaan halen. Wat een leuke blogs maak je toch. Ik ben erg benieuwd naar de mineral booster. Ik heb hem ook besteld.